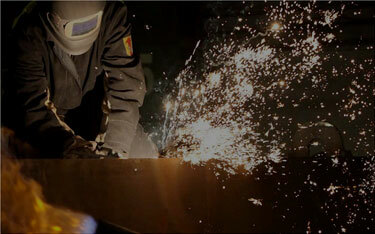 Our commitment to safety is part of what makes us the premier steel fabricator. We believe that every incident is preventable. ATEC Steel continues to be an industry leader in safety. We are relentless in our approach to prevent each and every accident, as we believe that every incident, thus every occupational injury, is preventable. Every one of our colleagues—as well as our partners and subcontractors—has stop-work authority. If it’s not safe, we don’t do it. We reinforce this philosophy through a combination of technical field procedures, observation programs, hazard analyses and an ongoing training program that highlights activities that could be life-threatening when not executed according to published procedures. Leaders have a special responsibility when it comes to safety. Every leader we have is intensely committed to safety — seen not only through words, but actions. Leaders create the proper environments where people can’t help but do the right thing every time.